Image courtesy of MEST via Twitter. Nigerian accounting and payroll management software Accounteer has emerged winner of the inaugural MEST Africa Challenge, taking home the grand prize of US$50,000 equity investment. 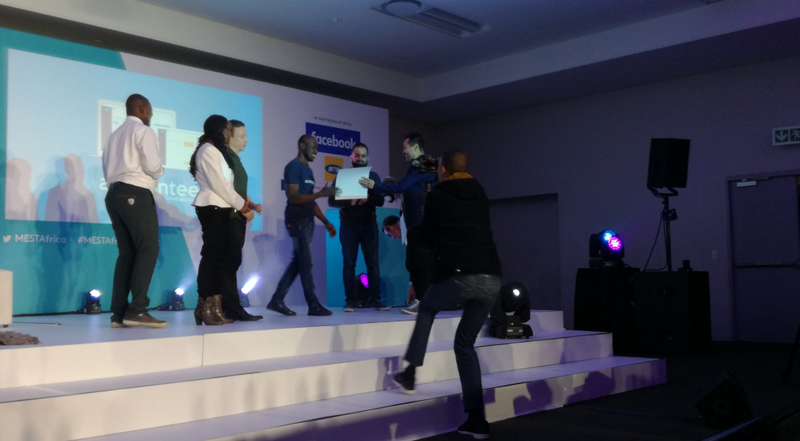 Hosted by the Meltwater Entrepreneurial School of Technology (MEST) – which has now been active in Africa for 10 years – the first MEST Africa Challenge took place today (June 20) at the MEST Africa Summit in Cape Town. Four regional winners took to the stage to pitch live to an audience of leading global investors, entrepreneurs and executives, for the chance to win US$50,000 investment. Nigeria’s Accounteer was selected the winner; pipping to the post Ghana’s Cowtribe, Kenya’s ​Data Integrated, and South Africa’s Swift Vee. This was the first time the Summit has been held in Cape Town, following MEST’s expansion to South Africa in December, when it opened a new Cape Town incubator, as well as a new space in Lagos.